Find us in your mailbox? Teeth grinding, or bruxism, may seem like an insignificant issue – but the truth is, it can be a symptom of a more serious condition that could be causing more harm than you realize. Teeth grinding is often caused by stress and is associated with bite problems, chronic headaches and migraines, and dysfunction of the jaw joint. 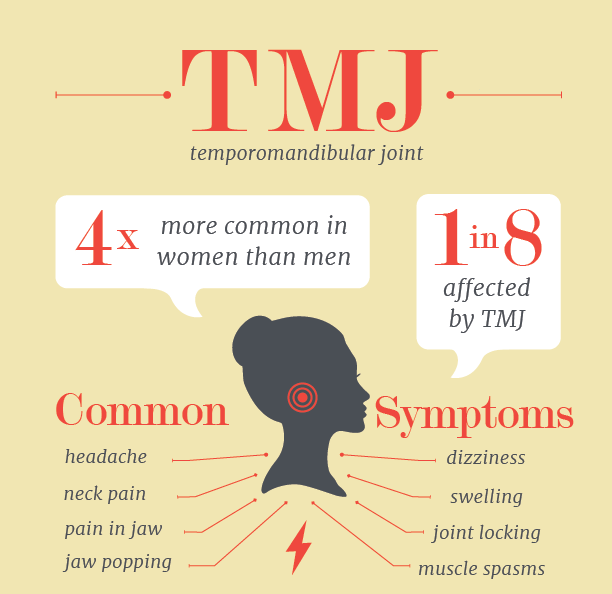 TMJ stands for temporomandibular joint, otherwise known as the jaw joint. TMD stands for temporomandibular disorder, or the problems and dysfunction associated with the joint. To clear up any confusion, these two terms are often used interchangeably. TMD can not only cause problems for your oral health, because excessive grinding can wear down tooth enamel, but is often the cause of chronic headaches or migraines. If you are living in constant pain and have been unable to determine the root of the problem, your TMJ might be the culprit. Many patients living with TMD are entirely unaware of their condition, because teeth grinding occurs mostly at night when they are asleep. If you or a loved one think you might be suffering from TMD, our team at Brewer Family Dental wants you to know that you don’t have to grin and bear it – we can help! Dr. Brewer can fit you with a custom mouth guard for you to wear at night while asleep to minimize the effects of teeth grinding and clenching, and provide the relief you need. At Brewer Family Dental, we understand the importance of taking care of your family’s health. We also understand that health and dental care can be costly, especially if you have no insurance or out-of-network insurance. That’s why we are happy to offer flexible in-office financing options to help you get the care you need without breaking the bank. If you have any questions about TMJ/TMD, teeth grinding, or mouth guards, or would like to schedule a consultation with Dr. Brewer, please contact our office at Brewer Family Dental today at (859) 554-4799.
get back to you the following business day. Dr. Brewer is a general dentist providing orthodontic services. Please call us at or fill out the form below to request an appointment.